A question we are asked a lot is whether our wedding movies can be hidden from the public. The short answer is yes! 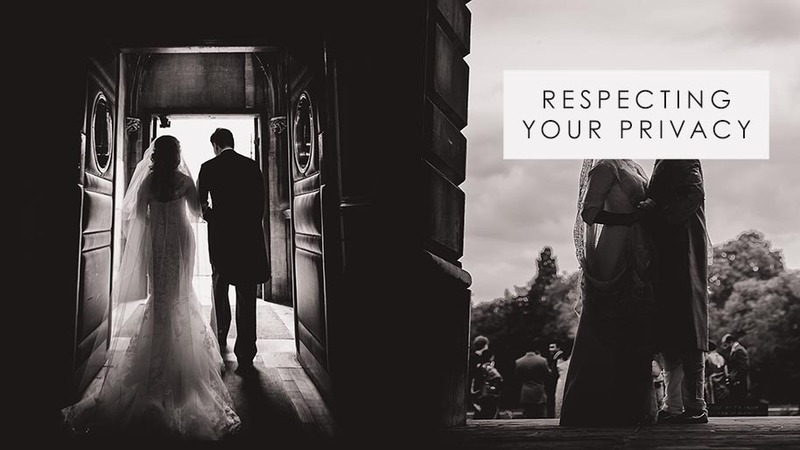 We absolutely respect your privacy, and we can make your wedding video private and password-protected, if this is important to you. Usually, our clients are happy for their spectacular weddings, which they spent so long planning, to be seen by others. It’s inspiring to future couples who are making their own plans. However it is entirely up to you whether you’d like your awesome story to be shared. We do prefer our films to be viewable without a password, of course. We love to share our films on our blog / Vimeo page, because we’re proud of each and every one. Private password-protected wedding videos are a little less convenient. Ideally, we’d like you and your guests to simply click a link and watch your film without having to type a password. However, for many of our clients, a private page and secure password is the only solution. 1. 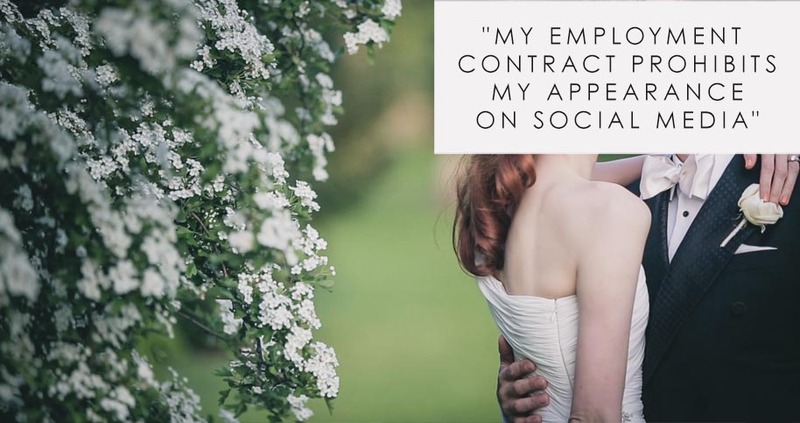 “My employment contract prohibits my appearance on social media” or “My job is of a sensitive nature and it would not be prudent for me to have my wedding shown to anyone outside of my friends and family”. This happens. Sometimes a job places limitations on your public activities and you are either not allowed or it is not wise to have images of you in the public domain. 2. “I don’t want any media coverage of my wedding”. Some of our clients are in the public eye and their wedding day is a special time which they’d prefer to keep just to themselves. 3. “Some of our guests do not want media attention” or “Some of the performers / musicians / choir insist that the wedding video is not shared”. In this situation, it’s your choice whether to request that we avoid filming certain people altogether, remove any footage of these people from the shared films, or film everything as usual and make all the films private. 4. 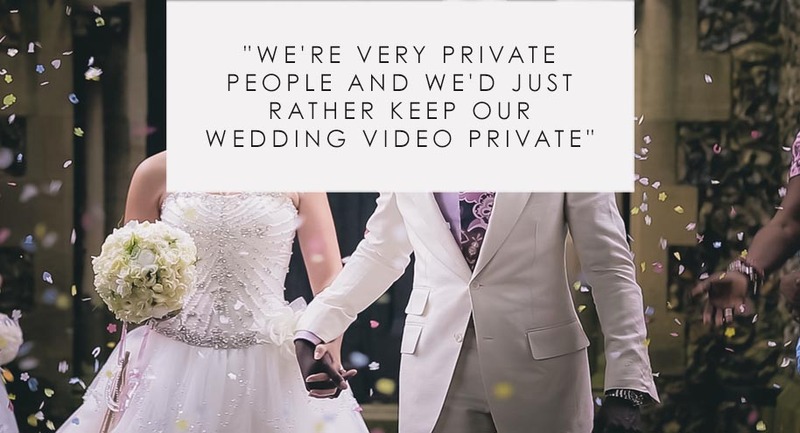 “We’re very private people and we’d just rather keep our wedding video private”. Perfectly valid. You don’t need a complicated reason to request privacy, it is yours by right, so just let us know and we’ll keep your films for your eyes only. Finally, you may wonder if we put more effort into / spend more time on the films which we don’t share publicly. Rest assured, we are very proud of our work and our reputation, and every single project we work on is treated with the utmost care and attention. From the planning and filming, through to post-production, we try to make each film as polished and as engaging as possible. Even if the audience is more limited than usual, we know you’ll show the films to your friends and family, and word of mouth is so important to us. Hopefully this has been helpful. If you have any questions please feel free to get in touch by using the “contact” link in the menu, or by calling 07958 946 221.